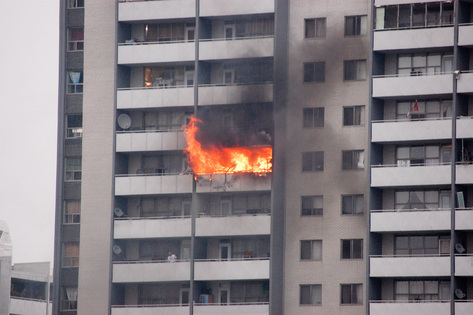 TORONTO: September 28, 2010 – An estimated 1700 people have been displaced since Friday night’s six-alarm fire at 200 Wellesley Street East, Toronto Community Housing building, and won’t have access to their homes for the remainder of the week. The building is a social housing structure operated by the Toronto Community Housing Corp., the largest such apartment in the city. Its residents count among Toronto’s poorest and most vulnerable residents. Flames broke out in a unit on the 24th floor, but continued to burn five hours later and spread to adjacent apartments. Because of the intense heat and high winds, it took crews about two hours before they could reach the fire. Flames broke out in a unit on the 24th floor, but continued to burn five hours later and spread to adjacent apartments. Crews managed to put out a secondary fire several floors down, reportedly started by falling debris. 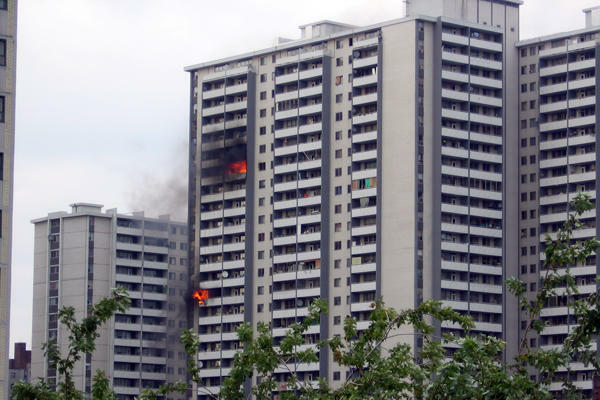 The Ontario Fire Marshal continues to investigate the cause of the fire while Toronto Community Housing staff and engineers are working to assess the integrity of the structure. Gift cards for grocery, department and drug stores are also being accepted at the Community Centre at 519 Church Street. 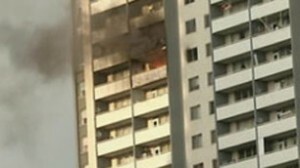 There’s no word on when the 1700 affected residents will be allowed back into their apartments. Fire officials say the building is still structurally unsafe. Canadian Medical Assistance Teams will be collecting monetary donations for the purchase of diapers, toiletries, underwear and other supplies for displaced residents. Donations are tax deductible and can be made on the CMAT website. Material donations are not being accepted by CMAT. Canadian Red Cross workers and Toronto City officials continue to support residents at the Wellesley Community Centre, and at other centres around the city. Toronto is Canada’s largest city and sixth largest government, and home to a diverse population of about 2.6 million people. It is the economic engine of Canada and one of the greenest and most creative cities in North America. Toronto Community Housing is Canada’s largest social housing provider and home to more than 164,000 tenants, about 6% of the city’s population, with low and moderate incomes. CMAT is urgently making an appeal and asking for your help and generosity by making a donation to support our displaced community members. To make a donation, please visit: www.canadianmedicalteams.org Click here to donate now!